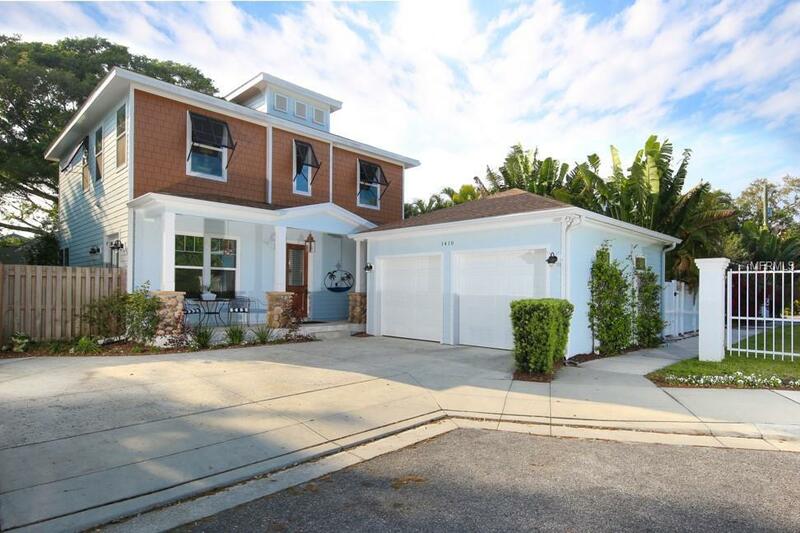 Coastal contemporary, like new/former Green Life Luxury Homes model home located in the heart of the city and surrounded by tropical landscaping, this opportunity incorporates the best of all worlds! Enjoy modern conveniences, quality construction, beautiful finishes, & the convenience of walking to area dining, shopping, Southside Elementary, & work for the medical professional that wants close proximity to Sarasota Memorial Hospital. 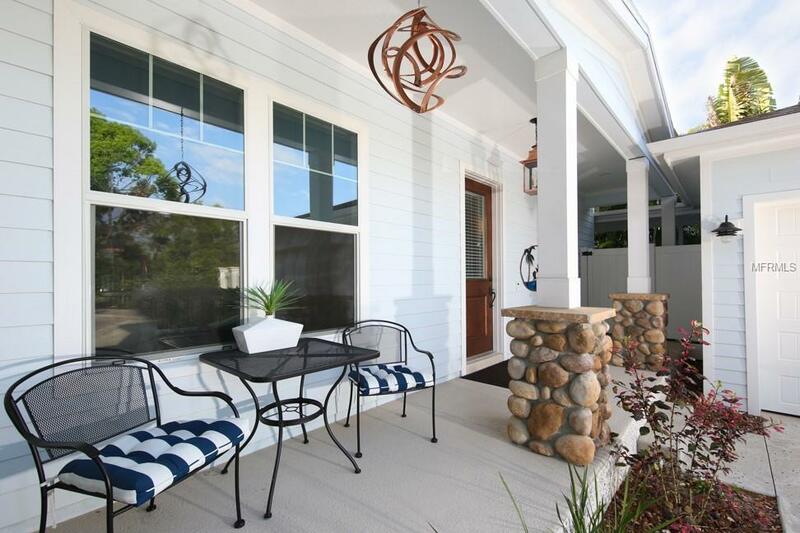 1410 Lasula Court is tucked away on a private court & presents beautifully on approach. 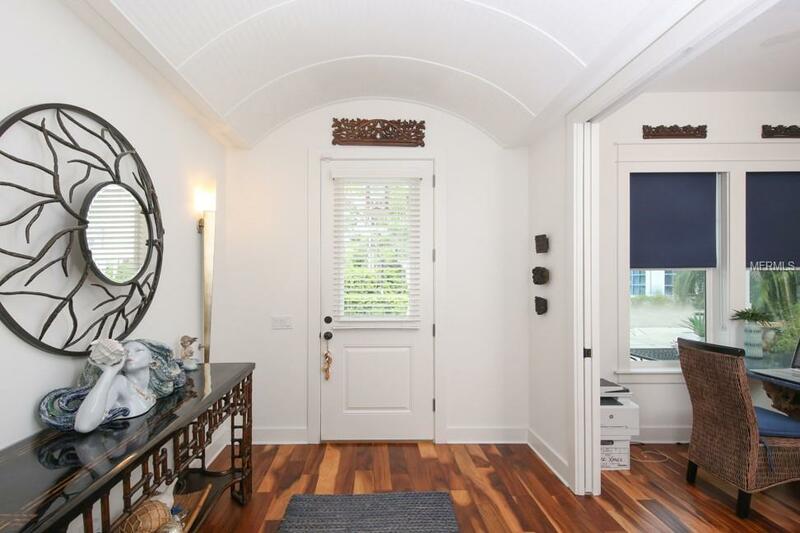 There is an inviting front porch, separate 2 car garage(a 2nd floor can be added), & the architectural details are on point. Once inside this 4 br + bonus room, 2.5 ba, notice the fine finishes and eye-catching attention to detail that is unmatched at this price point & location. The thoughtful floor plan includes a downstairs master retreat which opens to the picturesque back yard entertaining/dining area with sun shelf & lap pool. The master bath & closet is fit for a queen! Also downstairs is a spacious great room that is open to the formal dining & chef's kitchen. 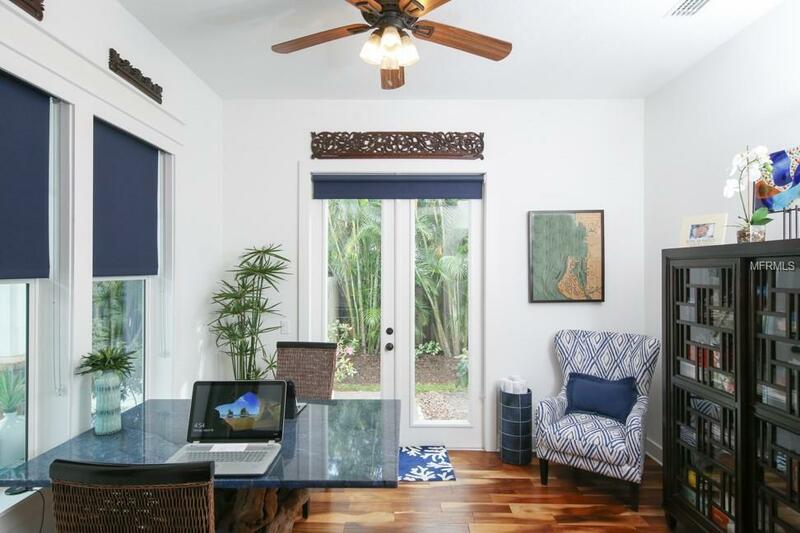 The walls are generously adorned with windows that bring natural light & the outside tropical oasis inside! The upstairs is home to 2 more bedrooms & large bonus room (Need more bedrooms? The bonus room can be converted 2 additional bedrooms & bath with the builders plans on file). The lot is fenced and pet friendly, a side yard is complete with an area for your fire pit & space for dog run. This home is special.